A number of colleagues and I occasionally debate whether it’s ok to modify a well known, well established, outstanding framework. 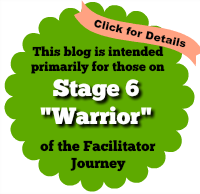 In the course of a recent conversation, a few of us came up with a modification to one of the steps in the Open Space Technology (OST) framework. For me, OST has always been a challenge to both facilitate and be a participant. Yet, there are many good reasons to NOT tinker with tried-and-true tools and frameworks. However, with some nervousness, I am going to propose a change to this framework to make it potentially more inclusive. It may not work for all situations or facilitators. (Notice how hesitant I am with my words here). For me with my usual use of ToP methods – this change makes it more comfortable because it offers profound respect for everyone’s input and preferred ways to participate. I also think it might get better results. I believe this modification does NOT tinker with the values and principles that are inherent in OST. Read on and see if you agree! A full description of OST is included in this blog. This framework typically is used with larger groups (>20) who have emerging agenda items for which they would like input. It’s a wonderful methodology in situations where you cannot predict exactly what the participants’ needs are beforehand. It allows a lot of important subject matter to be discussed by people who are vested in the subject theme. The discomfort I have with using OST primarily comes at the beginning of the “Agenda Setting” step. This is where I’m offering a modification. Open Space modification – here we come! After the principles and format of OST are made very clear, people are typically asked to come forward and propose a topic on which they want people to work. This is called the “Agenda Setting” step. The number of topics proposed can often be substantial. “To get `from here to there’ we will use two very simple mechanisms — the Community Bulletin Board, and the Village Market Place. In a few moments, I will ask you to identify any issue or opportunity you see around our theme, give it a short title and write that down on the paper provided. Then stand up in front of the group, say what your issue is, and post the paper on the wall. Make sure that you have some real passion for this issue, and that it is not just a good idea for somebody else to do. For you will be expected to take personal responsibility for the discussion. That means saying where and when the group will meet, convening the group, and entering the results of your discussion into our computer system (if you are using a system). You may offer as many issues as you like, and if at the end of the day, you do not see your issue on the wall, there is exactly one person to complain to. Yourself. “Once all the issues are up, we will then open the Village Market Place, and everybody will be invited to come to the wall and sign up for as few or as many of the groups as they desire. From there on out, you are in charge. ————————————————————I have often found that the way the topics are framed by the participants leaves me unsure about what I might contribute as a participant. In addition, I almost always never offer topics for three reasons which include: 1) I am not sure that any of the topics I propose are worthy of the groups attention, 2) I’m not sure I want to lead a topic and 3) I don’t want to get up in front of a large group and make a case for a topic (it is just too intimidating to do it that quickly for me). Each person in the small group would take a turn at being listened to around their potential topic choices. After everyone has spoken, the small group might merge common topics and together propose 1-2 clearly stated topics to the larger group. The total amount of time needed to do this “extra” sub step in the Agenda Setting step would be about 10 minutes. 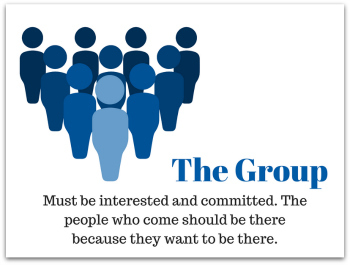 You don’t feel alone in proposing a topic to the larger group because you now have a partner with whom to lead the topic. Everyone has time to think out loud and test the idea with the smaller group to clarify your thinking. You narrow down the topics being proposed (if this might be a problem for the size of group you have). Get in small groups of four people. Each take one minute to share any topics you are thinking about offering or any topics you are interested in. Everyone gets the same amount of time. When one person is speaking, everyone just listens – no interruptions. Imagine this person is just trying to do “out loud thinking” to help them clarify their thoughts. I will ring a bell after each one minute or you can use your own timer. Decide together which two topics you will offer to the whole group and who will lead and co-lead, if desired. Anyone can ask someone in the group to stand up with them to make it less intimidating to offer their proposal to the whole group. I have avoided using Open Space Technology because I neither feel qualified to offer a topic or interested enough in someone else’s topic to fully participate. This tinkering of the Agenda Setting step would allow me to gain more ownership in the process. What do you think? As you review the overview below, can you see yourself using this modification? 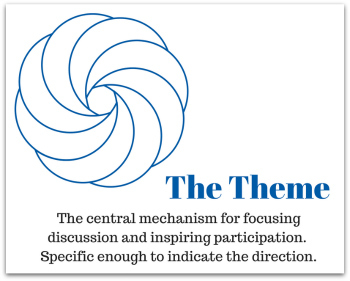 OST creates the supportive environment in which the participants solve self-determined issues. Minimal elements of this framework include: Opening, Agenda Setting, Open Space, and Conclusion. These elements will suffice for events lasting up to a day. Longer events will require the addition of Morning Announcements, Evening News, and probably a Celebration. Diverse, often conflicted groups up to 1000 people, can manage hugely complex issues in minimal amounts of time, with no advance agenda preparation, and little, to no, overt facilitation. The conference agenda is largely unknown to participants in advance of the event, because the agenda is built in real-time, by the participants themselves, just before the conference starts. It is counter to the way that Western and Asian businesses have run meetings and events. The manager/leader/organizer does not decide who and what and where and when. 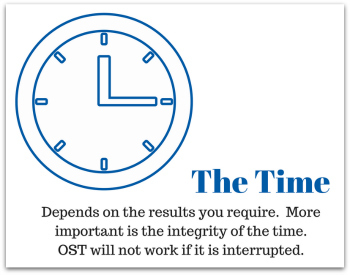 In OST schedules, project plans, organization, staff, materials are not apparent. It is facilitation of group process “at scale”. 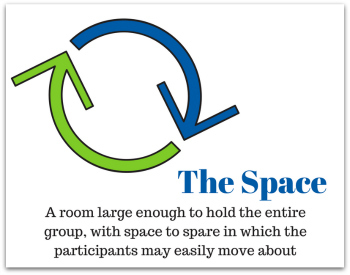 As such, it is THE critical success factor in creating successful Open Space events. Because there is little structure in terms of what we know or are used to as structure, it can make leaders nervous. It is good to explain the benefits to them carefully, perhaps show them a video of how it works. Critical “focal issues” had been isolated and Next Step actions identified for their resolution. Really make it SO clear that people can move anytime they want. Explain why it is important (see below). Demonstrate how people can do that politely and get everyone’s agreement up front that you will all use the same ritual of moving on… say to participants “ No matter what, don’t sit there feeling miserable. Unhappy people are unlikely to be productive people. One of the most profound impacts of the law is to make it clear who is responsible for the quality of a participant’s learning. If any situation is not learning rich, it is incumbent upon the individual participant to make it so. One of the more surprising gifts of the Law of Two Feet is the apparent contribution to conflict resolution. Apparently the participants do it all by themselves. Consider 100+ Zulus, Haussa, Afrikaners, and Brits struggling to gain an understanding of each other as they worked to create the New South Africa. Or how about 225 federal bureaucrats, state and local bureaucrats, and Native Americans gathered to work out approaches to building roads on tribal lands. Source: Michael Herman – see below. 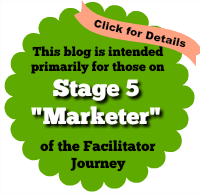 ← A Facilitator’s Dilemma – Too Scary or Not Scary Enough? Hmmm. I hear what you are saying about the barriers to participation in OS. And personally i believe it is just fine to tinker with and adapt methods–part of the art and joy of facilitation is when one moves beyond rigid method application; personally i commonly use elements of established methods in novel ways to do my work. At the same time, i worry that the modification you are proposing would take something away from the essential spirit of OS. One beautiful thing about OS is that topics are not vetted or limited in any way, i love how anyone can post anything they have passion for, there is no consensus of any kind and autonomy and diversity are thereby increased. In my experience groups tend to “over-merge” offerings during the Marketplace stage, so when i’m leading OS i caution against that. I’m trying to think what alternatives might address your dilemma. Regarding your reason #2, perhaps craft the invitation to clarify that no expertise is required to lead a topic, for example a topic can start with a great question and nothing more. Regarding reason #1, if people in the group don’t want to give attention to a topic, they will vote with their feet, thus there is no need for proposers to decide worthiness. Regarding reason #3, perhaps allow a few extra minutes during topic writing and tell people that if they want to partner with someone else in the room on offering something that’s ok? Those are my initial thoughts. When participating in OS I often don’t post a topic, mostly because other topics catch my fancy more, which says alot about what I care most about. When I do post, it is something I really care about, and it’s that caring that spurs this introvert to stand up and announce my interest. When facilitating OS, I put some effort into the pre-event invite/announcement, trying to make it clear participants will be the ones setting the agenda, in the hopes it begins the thinking process of what one may want to talk about. I also work with the client/sponsor ahead of time to shape their messaging and communications in talking-up the event, to help spread the point that participants will be creating the agenda with their interests on the theme. In opening and inviting, I do voice a “script” for folks to use, e.g., “My name is Eric, and I am interested in talking about bike-friendly streets.” This helps downplay the need for someone to feel they should advocate for their topic, thus easing some of the public speaking anxiety. I’ve also observed at times a participant will ask their neighbor to post for them. I never asked them why, but I’m guessing they didn’t want to stand in front of everyone. Likewise, I’ve seen some younger participants ask the elder next to them if that elder would like for them to post something on their behalf. After the first wave of postings, I do mention that folks hopefully won’t get home tonight and say “you know, they never talk about bike-friendly streets.” After the second wave of postings, I sometimes give an auctioneer’s “going once..” to let them know we’re about to move on. It’s in this final silence that we often get one more from someone who’d been sitting there sensing their passion for their topic, and jumping up to propose it. To reduce anxiety on whether anyone else is interested, I’ll point to the principles that it’s OK if you’re the only one who shows up for your topic, and then I’ll share a story of once I had a participant propose a topic, convened it and no one else showed up, yet he cared enough to stay there and put his thoughts into the notes, which were then read by the board of the organization hosting the event, and they invited him onto the board the next month and he served the organization for years, and pointing out you never really know the extent of your influence when you stand up for what you care most about. While I too will often tweak and morph methods to suit different situations, the OS framework has a certain simple elegance that, when properly accommodated for, has yielded some remarkable results, in my experience, and I’m reluctant to change anything. If it cannot be accommodated, due to logistics, topic, organization, or whatever, then I’ll look to another way of doing things than design a change to OS. I can understand – and have experienced my own – hesitancy in posting a topic, but when facilitating OS I already know not everyone will be proposing topics, nor does everyone need to, because I’m confident they’ll get something from elsewhere in the process. I just try to make it as easy as possible for sparks of passion to grow into a desire to post a topic. That’s what I’ve noticed so far. and what they hoped for an outcome (can it be a true collaboration, open to any result). around the coffee table even at this agenda stage to help with idea generating. Overall, I also like that we can modify processes based on the group we are working with.